5. November 2016 – wir sind wieder am Ball! Save the date: Am 5. November 2016 rollt wieder beim StartschussMasters der Ball. Nach der IGLFA European Championship im vergangenen Sommer freuen wir uns, mit unseren Gästen diesmal wieder in die Halle zugehen. We’re looking forward to the kick-off on 5th November 2016. After the IGLFA European Championship last summer we’re happy to invite our guests to our indoor tournament this time. This entry was posted in General on 17. May 2016 by Alex. 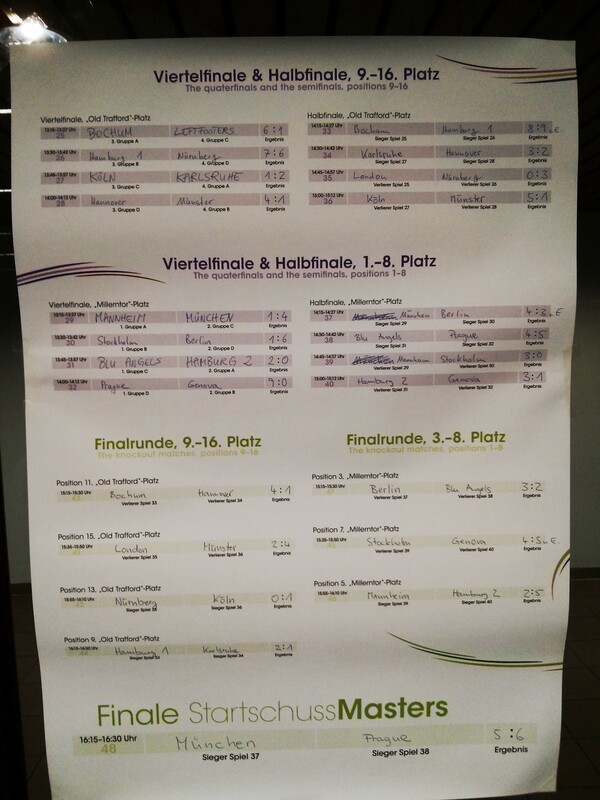 The registration for the StartschussMasters 2014 is completed, all 16 slots haven been filled. Once again the tournament keeps its international character. 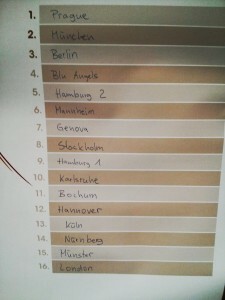 So we are happy not only about the participation of teams from germany, but also from England, Sweden and the Czech Republic. A very warm welcome to the “Rathauskicker” – the football team of the Hamburg Regional state parliament. For all of you who like to plan in advance and think bigger: Startschuss and the Ballboys are hosts of the Euro Cup next summer. 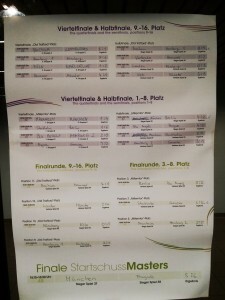 The registration for the IGLFA European Championship III has already begun. Click here for more information. This entry was posted in General on 30. September 2014 by Alex. The European Football Championship for gays and lesbians 2015 is being held in Hamburg. As the sports club Startschuss SLSV Hamburg e.V. announced on Monday, the concept submitted of the club has won the favour of the International Gay And Lesbian Football Association (IGLFA). From June 11th to 14th 2015 more than 30 gay and lesbian football teams and over 400 participants are expected in the Free and Hanseatic City of Hamburg. The tournament games on the 12th and 13th of June will be held on the football pitches of the HSV’s youth academy in Norderstedt. An opening party with the drawing of the groups as well as a closing ceremony with nomination of the Champions are scheduled. The patronage has been taken by Hamburg’s first mayor Olaf Scholz. The politician of the social-democratic party of Germany (SPD) speaks of an outstanding sporting event under the sign of equal treatment. 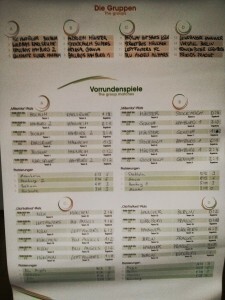 Click www.euro2015hamburg.com for more info. This entry was posted in General on 2. December 2013 by Alex. This entry was posted in General on 3. November 2013 by Alex. The Team manager of the Hamburger SV, Marinus Bester, is special guest at the award ceremony of the StartschussMasters, the biggest gay football tournament in Germany. The 44 years old former Bundesliga player will hold a speech at the award ceremony in the town hall about his point view on homophobia in football. After that, Bester will hand out the trophies to the winners. This entry was posted in General on 30. October 2013 by Alex. The StartschussMasters ist not only the biggest tournament of its kind in Germany, it’s also a get-together of the international gay football community. Therefore we offer an interesting social programme. For more details about the social program see this section of the homepage. This entry was posted in General on 28. October 2013 by Alex. 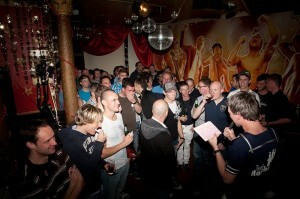 The StartschussMasters has a lot of supporters – without them, the gay football tournament would not be possible in this form. 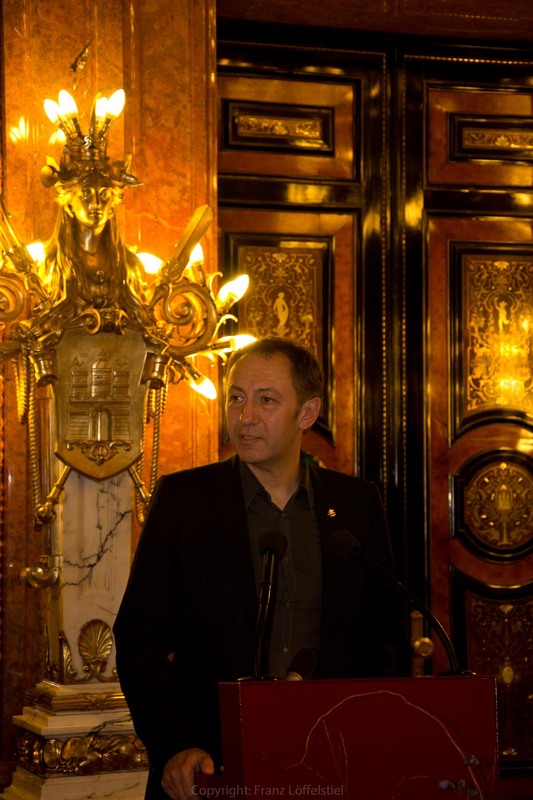 First to mention is Farid Müller, Member of the Hamburg State Parlament, who has been patron of the StartschussMasters since 2006. ” For years we have been witnessing a public discussion on measures against homophobia in the context of soccer”, Müller said in his greeting. The German Football Association and the professional clubs would be aware of the problem but still had have only fear and anxiety, which club and association it hits first. “With the StartschussMasters – a large and publicly recognized event – participants have been setting a symbolic stand against discouragement for several years now. 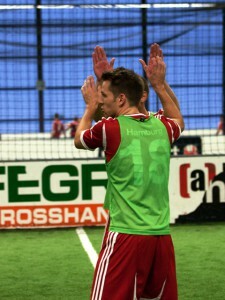 This boldness encourages clubs in their youth work to promote and support the diversity of their players”, Müller said. The organiszing team of the StartschussMasters would like to thank Farid Müller for his support. To read the greeting in full length, click here. This entry was posted in General on 21. October 2013 by Alex. The 9th edition of the StartschussMasters will be a very international tournament: Except from lots of teams from Germany, clubs from Italy, England, Sweden and the Czech Republic have signed up. Of course the GFC Friends Prague (photo) wants to defend the cup, of course our friends Stockholm Snipers will be there. This year we are also happy to have the Leftfooters from London with us and are excited about the first visit of Arzenal Genova. This entry was posted in General on 23. September 2013 by Alex. German TV and radio presenter Martin Roschitz will perform the group draw at the opening party of the gay indoor football tournament StartschussMasters. 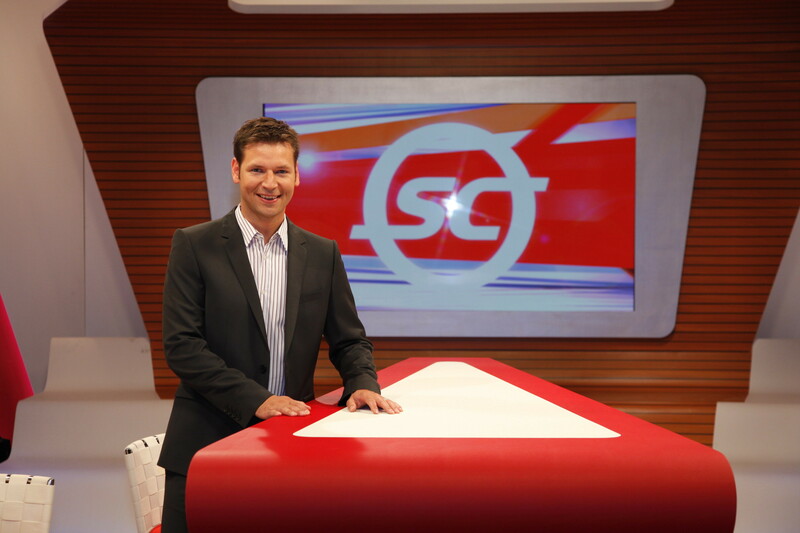 Voice and face of the 39 years old reporter are well known to thousands of people in northern Germany: He is presenter of the legendary Bundesliga Show on the public radio station NDR2 and is also host of the TV show Sportclub. Roschitz said: “I might have interviewed some gay Bundesliga players, but in professional sports, homosexuality is often taboo. 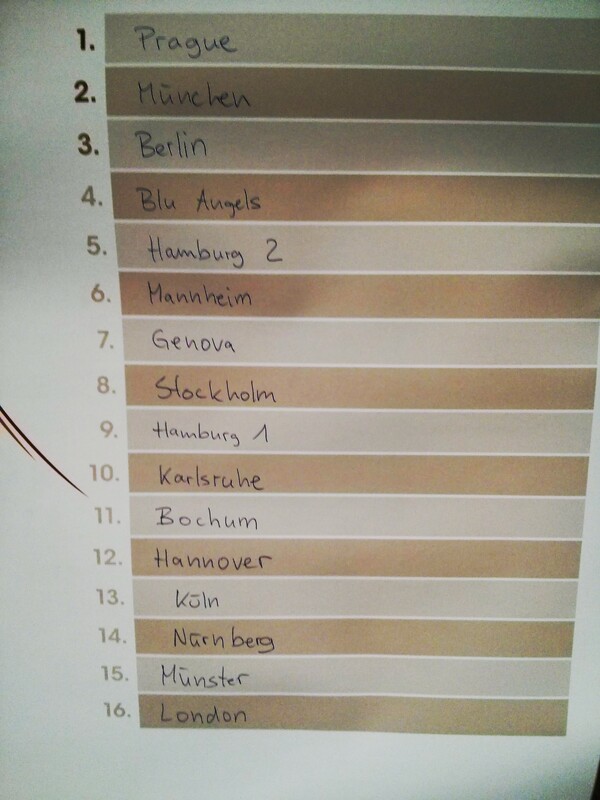 Maybe the StartschussMasters can ease the tension, showing on amateur level that being gay and playing football is quite normal.” At the StartschussMasters opening party on 1st November 2013, 9 p.m. at the “Wunderbar” in St. Pauli, Roschitz will draw the 16 teams to the four groups. The StartschussMasters regularly feature prominent guests at the opening and closing events: The list of guests in the recent years includes the president of FC St. Pauli Corny Littmann, the managing director of the Hamburg Football Association Karsten Marschner, actor Peter Lohmeyer and former Bundesliga player Bastian Reinhardt. With 16 teams from all over Germany and some European countries and around 150 participants, the StartschussMasters is the biggest tournament of its kind in Germany. This entry was posted in General on 27. August 2013 by Alex. 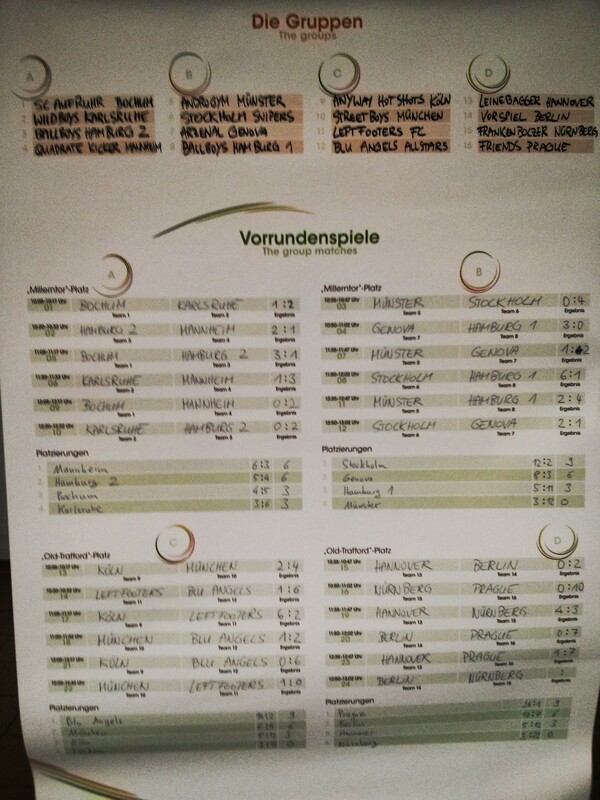 We are a litte bit late, but finally we start the registration for the ninth StartschussMasters. Matches will take place on 2nd November 2013, the tournament fee is 90 Euro per team, and we’d be happy to see you all again. We cannot only offer a well organized indoor tournament on excellent astroturf, we’ll also have an entertaining social programme with party and prominent guests. Signup here until 10th October and challenge last years’ winner, the GFC Friends Prague. This entry was posted in General on 13. August 2013 by Alex.